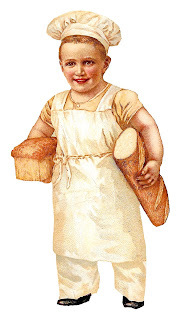 This is an adorable vintage baking clip art image of a boy baker. 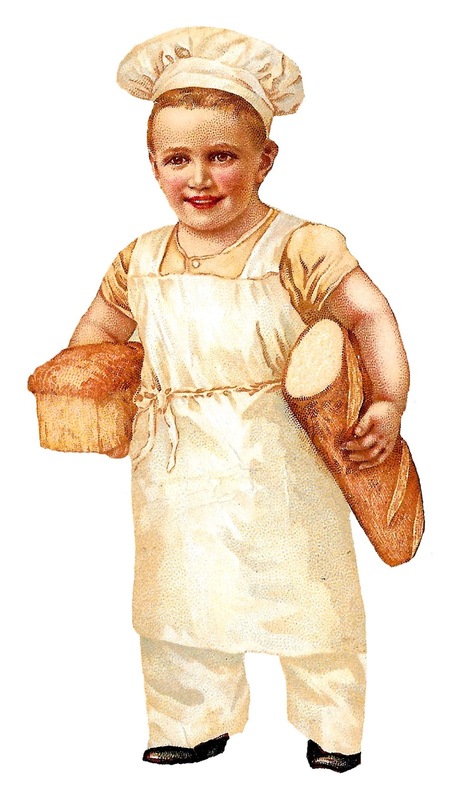 The boy baker holds two, big loaves of fresh baked bread in his arms. He looks so cute in his apron and hat. And, he certainly looks happy with his delicious bread! 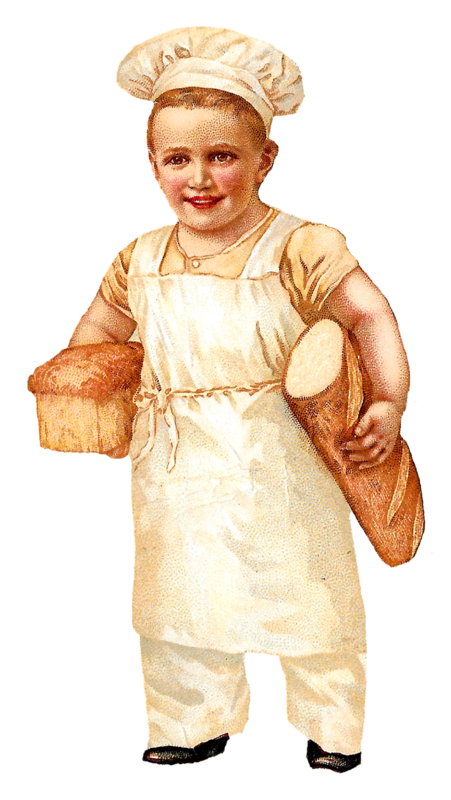 I found this vintage baking image in one of my Victorian scrapbooks. This food clip art would be a great design element for recipe cards or gift tags and cards for homemade baked goodies.